Coloplast Self-Cath Straight Tip Intermittent Female Catheters on sale at IndeMedical.com. Order by Case of 300 and Save! The Self-Cath family of 100% latex-free catheters offers a variety of options for intermittent self-catheterization. Each catheter is made of flexible medical grade PVC and has smooth fire polished eyelets for added comfort and ease of use. 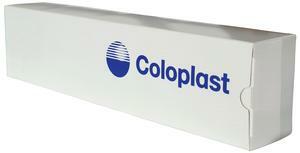 Coloplast Part 208: 8 Fr. 6"
Coloplast Part 210: 10 Fr. 6"
Coloplast Part 212: 12 Fr. 6"
Coloplast Part 214: 14 Fr. 6"